The Operating System giant Microsoft has announced that they will be launching the first Windows Phone with its brands on November 11 of this year 2014. 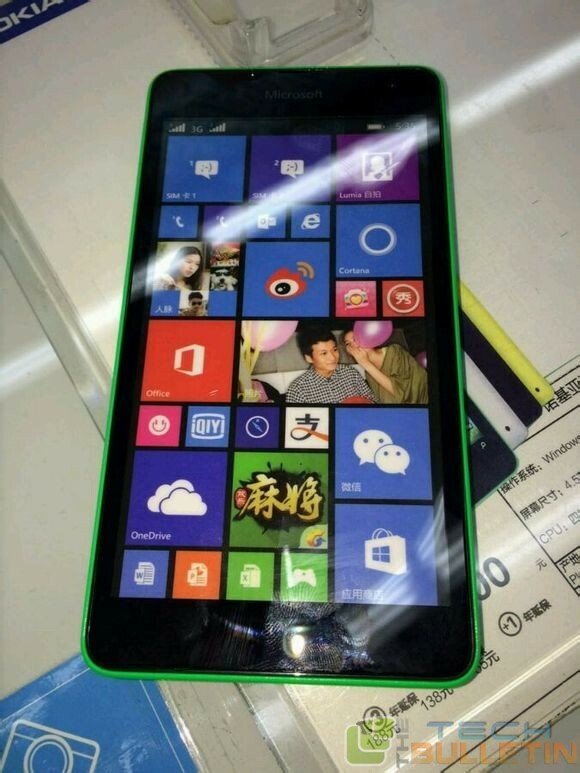 Now some images are leaked which claims that the device may turn out to would be the Lumia 535, The images of a handset with that name sporting Microsoft’s branding have surfaced on China’s Tieba, an online community which is powered by Baidu. According these leaked images we get some information such as Microsoft branding is clearly visible at the front and the back of the handset. 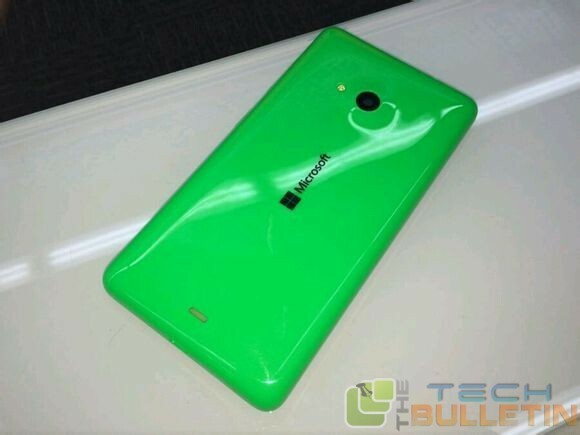 According some earlier leaks reports and these recent images, we found that the upcoming Microsoft Lumia 535 has a 5-inch qHD screen with a resolution of 960 x 540 pixels and powered by 1.2 GHz Snapdragon 200 CPU which is paired with 1 GB RAM. The phone comes with 8 GB internal memory which is further expandable up to 128 GB. And this time Microsoft Lumia Smartphone has packed with a 5 Mega-pixel rear view camera along with LED flash. This Windows Smartphone also has a VGA front shooter and it is packed with a 1,900 mAh battery which is sufficient for this phone, because Windows Smartphone is always famous for its powerful battery backup. According to one of the rumored which said that the device will be available in a total of seven color variants, and also said to be offer the dual-SIM 3G functionality support.